Gardening tips from 45 years of combined gardening experience. 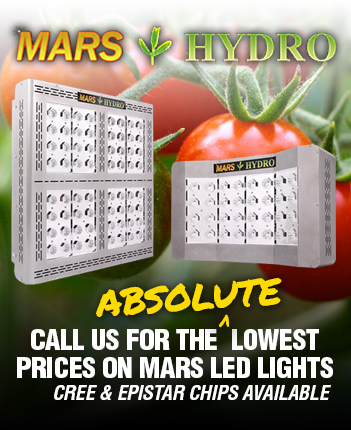 We know what it takes to grow hearty and healthy plants that produce. Some of our best gardening tips have been gathered here to help you get the most out of your indoor and outdoor garden. 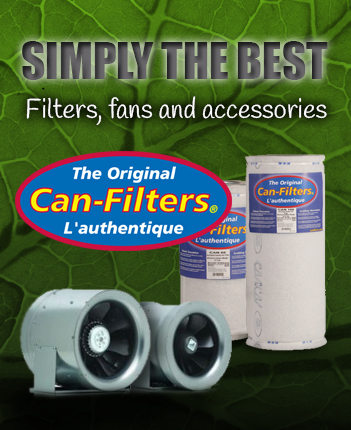 Give us a call or come by our fully stocked Campbell River gardening store, we have all the supplies needed to achieve the optimal growing environment for all your plants. Can I control fungus gnats and thrips with nematodes? Yes, we have been seeing customers have a lot of success using nematodes. Nematodes are a multi-cellular beneficial parasitic round worm that targets pest insect larvae of mainly Sciarid flies (fungus gnats) and Thrips. The soft bodied pest insect larvae serve as a host for the beneficial nematode. The nematodes hunt down the harmful larvae and destroy them by entering the host pest insect as an infective juvenile. Each infective juvenile Nematode carries a bacterium in the gut, which it releases into the body cavity of the target pest after penetration, killing the host in approximately 48 hours. The population growth of these nematodes depends mainly on the type and condition of the medium, temperature, and humidity. You can apply the Nematodes using a watering can or a sprayer. What are the benefits from use of seaweed in the garden? Consuming food grown with seaweed used as a fertilizer helps give you important minerals that are more frequently deficient from land-based diets. Seaweed contains all major and minor plant nutrients, and all trace elements; alginic acid; vitamins; auxins; at least two gibberellins; and antibiotics. For those who cannot gather fresh seaweed, it is available in a dried ‘meal’ form or as a concentrated liquid extract which is active in significantly smaller rates. Why should I think about pH in my garden? Correct pH is a critical but often overlooked aspect when growing in hydroponics, coco coir, or Sunshine/Pro Mix. Put simply, the pH of your fertilizer determines how much of the mineral elements are available and accessible for the plants. Acid loving plants like rhododendrons and hydrangeas require lower pH. Tomatoes require slightly acid conditions, while peonies and sunflowers love lime, which ‘sweetens’ the soil, or raises the pH. There are a variety of ways to test for pH in your growing medium. pH test strips or electronic equipment are easily available. Or, collect a cup of soil from your area of concern, mix it with 2 cups of distilled water, and bring that in to our shop, and we’d be happy to test it for you. Can I bring some of my favourite geraniums inside to overwinter? Unlike most annual bedding plants, geraniums are easily propagated by cuttings. Kept on a warm windowsill over winter, or in a tray with a T 5 fl orescent light, your cuttings will quickly develop roots and leaves. Select healthy, squat and fat shoots. Remove them from the parent plant by cutting immediately above a bud. Remove flower buds and lower leaves from the bottom half of each cutting and cut the stem just below a node, where there is a concentration of the plant’s own hormones. Dip the base of each cutting in a small amount of rooting hormone, such as Power Root, to stimulate root growth. Fill pots with Coco coir or a good potting soil mixed with sand or vermiculite to aid drainage. Insert 2 or 3 cuttings around the edge of each pot. Water the soil or coco and stand pots in a well-lit position, indoors. Do not cover the pots. After a few weeks, a corky callus will develop over the cut end of the stem. A good root system will have developed within 6-8 weeks. In March or April, knock each cutting out of the pot and transplant into individual pots. Keep well-watered and plant out in spring. Any Suggestions For Gifts for the Gardener? Yes, and we have a great in-stock selection! With a nice little reflector, this kit will be perfect for a 3 to 4 foot sq. area, allowing you to grow a variety of vegetables and opening many possibilities of starting tomatoes and peppers early for your outdoor garden in the spring. How Important Are Indoor Grow Room Temperatures? 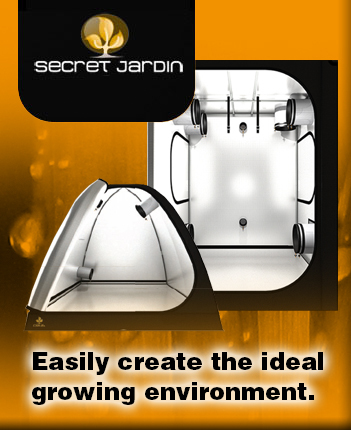 The Temperature of the grow room should be adjusted according to the types of plants you are raising. For example, summer vegetables and most flowers grow best between 60º and 80º F. Winter vegetables like spinach and lettuce prefer temperatures of between 50º and 70º. 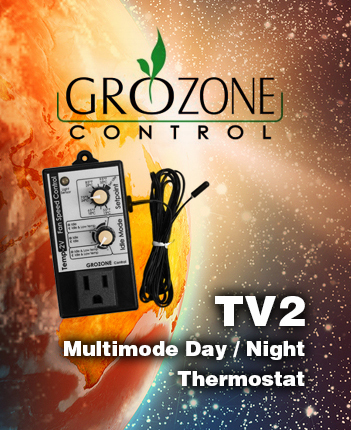 Also, keep in mind that many crops prefer a lower temperature at night, often as much as 10º. Temperature is sometimes an easy basic to overlook. But if the temperatures in your grow room are either too low or too high, you’ll end up with abnormal development and reduced production. Have you got any tips for overwintering plants? You can bring sensitive plants like geraniums and some herbs in for the winter. Wash plants and pots with insecticidal soap before bringing them indoors. Find a sunny spot in the window, and better yet supplement them with a daylight fluorescent like a T5 on a timer. In mid-winter decrease heat slightly and water less. Avoid fertilizing during the winter as this encourages soft growth, which is more susceptible to pests and diseases. The soil should be moist, not wet. Maintain good air flow and don’t crowd plants too closely together. Check to make sure drainage is good. Looking after your plants in this way will help you avoid problems like weak leggy spindly plants, yellowing and falling leaves. Also, crown rot or root rot are avoided by proper watering. You are welcome to drop by anytime for some more tips for overwintering your plants. 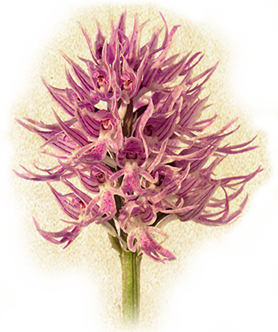 When is a good time to apply Nematodes for Rhodos? One of the most persistent outdoor garden pests is the Rhodo Weevil, which is part of the root weevil family. Larvas are whitish grubs with black heads. In the larval stage, the weevil grubs chew on roots and soft tissue of plants along soil surface. As adults, weevils chew on leaves and new growth. Leaves attacked by weevils have jagged edges. Growth can be prohibited, as year after year new growth is damaged. Weevils overwinter in the larval stage, yet turn to pupae as soon as the soil warms up in mid April-early May. By end May-early June, weevils turn to adults where they do the most damage. By then, it is too late to kill them with nematodes. The ideal time to treat for weevils is during the larval (grub) stage so apply Outdoor Nematodes (Lawn + Garden Combo) in late March-early April. apply nematodes, soil must be moist before and after application. Nematodes are light sensitive (UV exposure kills them) so early in the morning or after sunset is when nematodes are best applied. In areas where there is a heavy weevil infestation, it is beneficial to do two applications of nematodes, two weeks apart. Call to place your order, and allow one business day for delivery. I am considering a new greenhouse. Would a glass house be a good choice? We now have available for purchase the popular Halls Greenhouse. We also provide service and support to set up your house. Halls Greenhouses comes in four ranges, available in many sizes. Whether you’re an absolute beginner, enthusiastic amateur or professional, you are able to extend your growing season, trapping the warmth of the sun and heat to give your seedlings and less hardy plants the best possible protection. 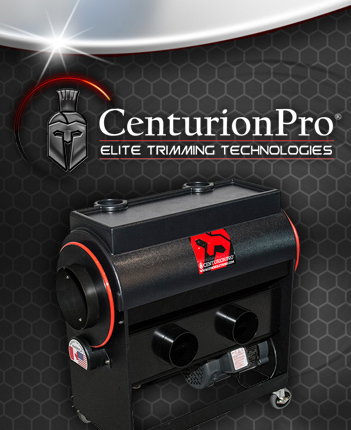 For more information click here and please drop in to see our model and catalogue. 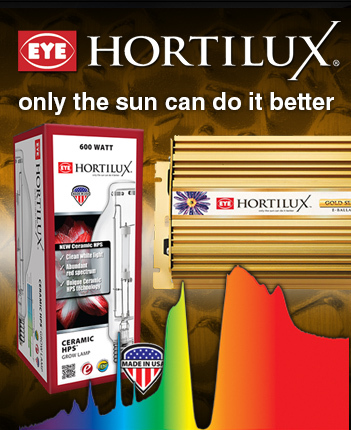 It’s best to have a warm place, or a heat mat, consistently 70 – 80 degrees F. A South facing exposure in a window, or the help of a daylight spectrum bulb, such as a T5 fl uorescent, is ideal. In a tray with inserts, or really any kind of shallow container with a clear lid, place moist starting mix such as Coco Coir, or Pro Mix BX. Sow the seeds carefully a couple of inches apart and cover them with twice the seeds’ thickness in potting mix. Gently and thoroughly water with chlorine free water (let tap water sit at room temp for 24 hours) You may wish to add B Vitamins, such as B Plus, as a general health tonic, as it is excellent in any propagation practice. Remember not to let the mix dry out, but don’t over water either! Once the seedlings have emerged, do not allow them to overcrowd, as they will compete, and become spindly. If lighting is inadequate once they are sprouted, they will also become spindly, so keep light as close as possible. Harden the seedlings off gradually, starting with venting the domes, and making sure humidity isn’t too high. Once the plants are a 1/2 inch or so high, you may apply a weak solution of plant food, such as Canadian Plant Food Tomato Formula 6-10-8. 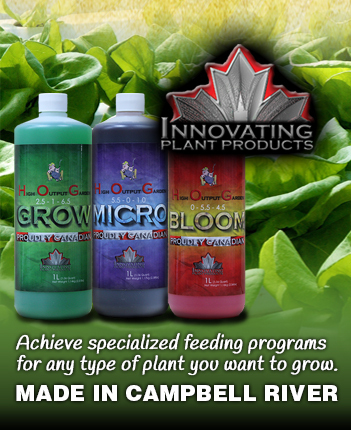 As the plants grow, so do their feeding requirements, so higher concentrations of good quality nutrients are necessary. Growing tomatoes from seed takes time and care, but it is not hard, and the results are well worth it. Hearty B’s is a product designed to promote rooting, maintain health and vigour of your plants, and prevent shock from transplanting and pruning. It contains B-1, natural humates, natural hormones, enzymes, carbohydrates, and amino acids. It is also a great source for natural auxins and cytokinins. This formula is ideal for all types of gardening applications. 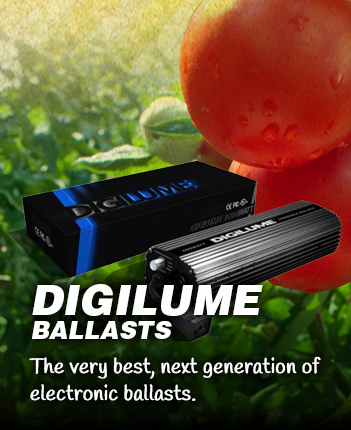 Use as a foliar spray, soil drench, or as a supplement to your regular feeding program in soil or hydroponic gardens. Hearty B’s is manufactured here in Campbell River. Please drop by for a free sample anytime. What is a 3 Part Nutrient? A 3 part nutrient is an all purpose plant food formula that will grow everything! Combine Grow, Bloom and Micro nutrients into your water at different ratios depending on the stage your plant is in, to have utmost control of the food your plant requires. For instance if you are in the vegetative stage, you are using more “Grow”, the same amount of “Micro” and a less amount of “Bloom”. If you are in the flowering stage, it is simply the other way around, using more “Bloom” than “Grow”. 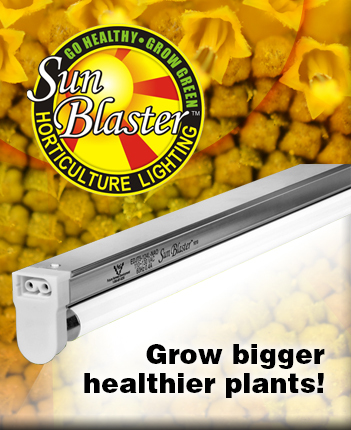 This is an affordable way to feed your plants high quality nutrients. 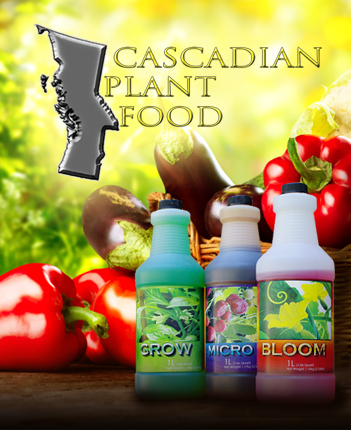 We are getting great feedback on our new 3 part by Cascadian Plant Food, proudly made right here in Campbell River. Come on in and get more information on how to grow beautiful and nutritious veggies and flowers. What is Cal-Mag’s Key Role in the Garden? Calcium, an essential part of the plant’s cell wall structure, improves the absorption of other nutrients by the roots and their translocation within the plant, and contributes to improved disease resistance. Calcium deficiency symptoms appear initially as generally stunted plant growth. Cupping of mature leaves is a tell tale sign of a calcium defiency. Classic symptoms of a calcium deficiency include blossom-end rot of tomato (death of the end part of the fruits), tip burn of lettuce, blackheart of celery and death of the growing regions in many plants. Deficiencies typically occur with the middle or lower leaves. The most common symptoms are interveinal chlorosis or yellowing leaf veins, which stay green, giving a marbles appearance. Calcium and magnesium are found in most plant nutrients. They are also available combined into one bottle as a supplement. Come by anytime and see our selection of Cal-Mag supplements! Why is Humic Acid so good to use in the garden? It enhances nutrient uptake, meaning you save money by spending less on fertilizers. It enhances soils depleted in nutrients and organic matter. Humic Acids promote proliferation of soil microorganics like beneficial algae, bacteria and fungi. Increases water capacity in soil. Humic acid is allowed for use on certified organic farms in Canada. Hygro has great selection of Humic Acid from Canadian fresh water sources.